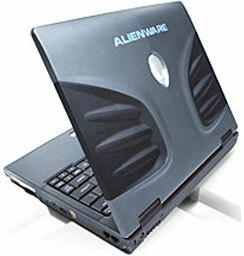 Does Alienware's 12" Sentia m3200 Widescreen Notebook Point to iBooks to Come? How Fast Is the iMac G5/2.0 GHz 17" vs. the PowerBook G4/667 MHz 15"
"Taking their figures from the article, they payed [sic] a total of 1598 Euros for their upgraded 12" iBook. Currently on the French Apple Store one can purchase a 12" iBook with all the same specs, minus the SuperDrive for 1269 Euros...."
"A novel plan to develop a $100 laptop computer for distribution to millions of schoolchildren in developing countries has caught the interest of governments and the attention of computer-industry heavyweights. "First announced in January by Nicholas Negroponte, the founding chairman of the Massachusetts Institute of Technology's Media Lab, the initiative appears to be gaining steam. Mr. Negroponte is scheduled to demonstrate a working prototype of the device with United Nations Secretary General Kofi Annan on Wednesday at a UN technology conference in Tunisia. "Steve Jobs, Apple Computer Inc.'s chief executive, offered to provide free copies of the company's operating system, OS X, for the machine, according to Seymour Papert, a professor emeritus at MIT who is one of the initiative's founders. 'We declined because it's not open source,' says Dr. Papert, noting the designers want an operating system that can be tinkered with. An Apple spokesman declined to comment. "Under present plans, the first production version of the laptop will be powered by an AMD microprocessor and use an open-source Linux-based operating system supplied by Red Hat." "Mac users have become quite familiar with using Sleep mode. In Sleep mode, Macs go into a very low-power mode, while saving the current session for later use. Putting a Mac to sleep will continue to power RAM in sleep mode, so that whatever was in RAM when the computer went to sleep will still be there when the computer wakes. Sleep mode is almost instantaneous, consumes very low power, and as a PowerBook owner its indispensable to me. Still though, it requires a power-source (however low) and there are times when laptop batteries are completely depleted or a user wants to completely power-off their Mac. "Similar to Sleep, Windows 'Hibernates,' while Linux 'Software Suspends'. They are not as fast as Sleep mode, but they take it a step further by not using any power. When Hibernating, a PC quickly saves the current session to the hard drive, shuts-down, and completely powers-off the computer. Upon powering-on, the user is quickly returns to the previous session. "Safe Sleep is so-far only officially available on the new PowerBooks. But Safe Sleep is very much software based, not hardware based. With Apple's release of Mac OS 10.4.3, Safe Sleep can be enabled on many Macs thanks to an excellent hack. To enable Safe Sleep you must be running Mac OS X Tiger, and be up-to-date to with version 10.4.3 (or above)." One posting on Escobar's page indicates that the supported models all seem to have the Kauai ATA controller, while earlier Macs (such as TiBooks) have the KeyLargo ATA controller. Anyone want to write a freeware program that enables Safe Sleep only on supported hardware so people don't have to use the Terminal? If so, please email Dan Knight . "If you install the Option Globetrotter GSM/GPRS card in a PowerBook G4 (Double-Layer SD), two AirPort ports will be displayed in the Network pane of System Preferences. "This is a cosmetic issue only - the Globetrotter card functions as expected." It's widely anticipated that Apple will announce a new iBook line early in 2006 with at least one 12" widescreen model. The screen size, dimensions, and weight of Alienware's new lightweight Sentia m3200 notebook could give us a clue as to the general form factor such a new iBook might take, albeit with Apple styling of course. As the thinnest and lightest notebook in Alienware's award-winning line of mobile systems, the four pound Sentia m3200 gives users flexible wireless options, instant-on access to multimedia and extended battery life. The Sentia m3200 features a 12.1" widescreen (1280 x 800 pixels) LCD with ClearView technology that delivers sharp, vibrant image quality and allows the system to fit comfortably in space-restricted areas such as airplanes and dorm rooms. Powered by cutting-edge Intel Centrino mobile technology, the Sentia m3200 provides fully integrated wireless LAN capability that includes 802.11a/b/g for maximum versatility and performance in various wireless environments. In addition, the Sentia m3200 offers an available PCI-Express slot that can be used for a variety of add-on functions, including Bluetooth support and external sound card solutions. For those users requiring the highest level of hard drive support for large multimedia and business presentation files, the Sentia m3200 can be configured with a fast 100 GB drive that runs at 7200 RPM. Additional benefits of the Sentia m3200 include a built-in, 4-in-1 media card reader and Instant-On functionality that allow users to immediately access videos, music, digital photos, and other multimedia content while conserving battery life. The Sentia m3200 also features battery control technology, which maximizes battery longevity and noise reduction at the push of a button. "The Sentia m3200 continues Alienware's successful expansion of its notebook line, giving mobile customers a remarkably compact and portable option," said Frank Azor, Senior Vice President and General Manager of Alienware's Worldwide Product Group. "Not only does the Sentia m3200 deliver optimum mobility without sacrificing performance, it also comes at an affordable value that won't break your budget." "Intel Centrino mobile technology was designed from the ground up for mobility in easy-to-carry notebooks like the Sentia m3200," said Karen Regis, marketing director of Intel's Mobile Platform Group. "With the superior performance and battery life that Intel Centrino mobile technology based laptops offer, travelers and students can connect at Centrino verified WiFi hotspots or anywhere else you travel for today's on-the-go lifestyle." MacReviewZone's Ask Johnny AppleSpeed compares the 17" iMac G5/2.0 GHz vs. the 15" PowerBook G4/667 MHz (DVI). Link: How Fast Is the iMac G5/2.0 GHz 17" vs. the PowerBook G4/667 MHz 15"
PR: The iBreeze is a dual fan-cooled, USB-powered, clear acrylic desk stand for your Apple PowerBook or iBook. It is powered by the computer's USB port, and provides a passthrough port, so you don't lose the use of that USB port when using the iBreeze. The iBreeze is built to provide quiet cooling, as well as improved ergonomics (by providing a nicely raised angle for using the keyboard). As PowerBooks have gotten smaller, thinner, and more powerful, they have also gotten hotter. That heat can make the top and bottom panels uncomfortable to touch, and can, over time contribute to deterioration of your PowerBook's performance and reliability. Also, using a PowerBook on a standard height desk surface requires lifting your elbows and curling your fingers down to the keyboard - a decidedly unnatural posture. The iBreeze lifts the rear of your PowerBook just enough to match the natural angle of your arms, and avoid much of this physical stress and discomfort. Of course the application can read out the data only if your computer is equipped with the necessary sensors, and if Mac OS X can access them without needing third-party device drivers. Beginning in summer 2002, Apple has begun to massively drive forward the use of monitoring probes in the PowerMac series, the Xserve series, and in portable computers. Some models are equipped with 38 and more sensors. But Temperature and Hardware Monitor can detect sensors on many older systems as well if they are available. We try to detect all sensors on as many Macintosh computer types as possible. However, a prediction which sensors are available in which models is not possible, because Apple very often releases "silent product updates", where the hardware equipments of some models are changed but the names are not (specifications are "subject to change without notice"). The particular graphics card and hard disk configuration used is also important because these parts can include independent sensors, too. Please note that Apple does not support an official or standardized way of reading out sensor data in Mac OS X (the only exception is the Server Monitor application for the Xserve series). The new version contains a workaround for the problem that Mac OS X did not update the readings for some specific low-priority sensors of certain Macintosh models. Now all sensor values are refreshed under all conditions. This affects temperature sensors of the 15" and 17" PowerBook G4 models released in 2005, as well as the ambient air temperature sensors of PowerMac G5 models. Added support for the new PowerMac G5 Dual Core systems. Added support for the new PowerBook G4 (Super Drive Dual Layer) systems. Added support for ambient light sensors found in the latest PowerBook models (Hardware Monitor only). Added support for several new S.M.A.R.T. hard disk sensors. The display of the extreme value table in the drawer of the history window has been optimized. Corrected a problem where keyboard navigation in the sensor preference outline view did not update the entry fields. Corrected a problem where curves in the history graphs were displayed with the wrong time scale for certain intervals. Corrected a problem where the clock frequencies of the local computer were displayed in the system info window although a remote computer was selected. System requirements: Mac OS X 10.2.5 or later. Note that we also offer shareware versions of Temperature Monitor and Temperature Monitor Widget Edition which are called Hardware Monitor and Hardware Monitor Widget Edition, respectively. The shareware versions can additionally display hardware sensors for other quantities (e.g. voltage, current, battery capacity, fan revolution, etc.) if your computer is equipped with them. Temperature Monitor Widget is free. "AMD is to develop a series of barebones notebook PCs in a bid to bring OEMs and system builders into the company's fold, the chip maker said yesterday. "Speaking at the firm's annual analyst conference, Marty Seyer, head of AMD's microprocessor business, said the system would bundle AMD processors, integrated chipsets from ATI and Nvidia, plus ancillary I/O chips. 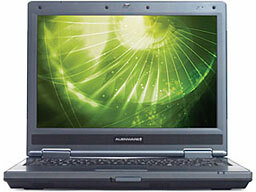 "Seyer said the systems would help smaller computer-makers bring notebooks to market more quickly."